WEEKLY OVERVIEW: A turbulent and tense week of politics is behind us. 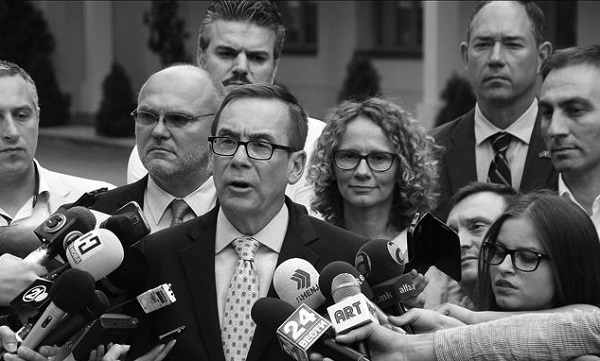 Nevertheless, the event that marked the week is the political agreement that was reached between the four parties involved in the Przino process. With the mediation of US Ambassador Jess Baily and Tiborg Barodi, representative of the EU Delegation in Macedonia, the parties agreed for a transitional government to be established 100 days before the elections. The agreement entails additional amendments to the Electoral Code, along with many new steps for revision of the Voters Register. The State Election Commission (SEC) will publish the 39,502 controversial voters, whose checking will last 25 days, while the 171,500 people who are assumed to be abroad, will be put on an additional part of the Voters Register, but their voting right will not be disputed. The 39,502 controversial voters will be publicly announced within three days after the adoption of the amendments to the Electoral Code. In regards to the transitional government and the competencies of the Minister of Interior, it has been agreed that the number of appointments of senior officials within the MOI is to be limited to 15 vertically, something for which the Government also needs to give consent. The deputy minister within the MOI will be from DUI. The terms of office of the ministers and additional deputies will end once the SEC announces the final results. The application of the amendments to the Law on Interior Affairs, which the governing party recently imposed, has been postponed until the beginning of next year. Free elections – a non-negotiable condition! However, part of the Macedonian public does not have confidence in this last agreement. The Colorful Revolution does not hide its doubt that the ruling parties will implement what has been agreed. That is why it continues to stress its demands: justice for citizens, punishment for criminals, democratization of society, freeing of institutions and overcoming the crisis. CIVIL-Center for Freedom, which carefully monitors every step of the political scene, has expressed cautious optimism in regards to the inter-party agreement, having in consideration current practices. CIVIL’s views are based on analyses made by members of the expert team. The assessment is that the agreement opens an opportunity for yet another agreement, with the next one being concrete and final, and based on the demands of the democratic public. 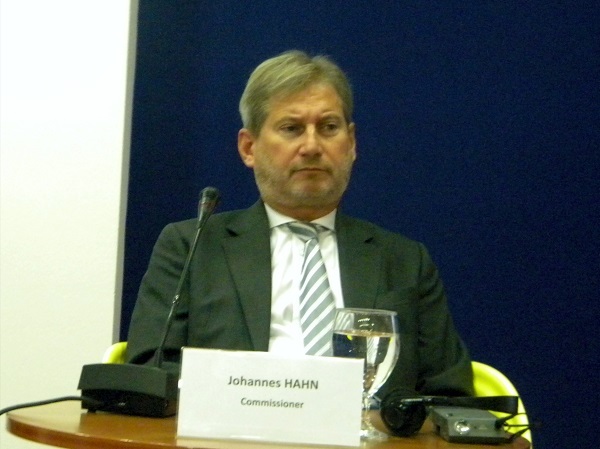 However, according to CIVIL, the phrase ‘Free elections are a non-negotiable condition’ is imperative for resolving the political crisis in Macedonia. Political analyst and member of CIVIL’s expert team Dr. Saso Ordanoski, considers that the guarantees of this agreement were reached at the tête-à-tête meeting between Nuland-Gruevski. He predicts that VMRO-DPMNE will go to elections with a new leadership, which will be “cleaned out” from politicians linked to criminal charges arising from the “Wiretapping” scandal and from cases of the SPO. The two parties of the Macedonian political block came out with positive comments after the agreement was reached. It is quite surprising that Nikola Todorov (VMRO DPMNE) and Radmila Sekerinska (SDSM) promise that Macedonia will have fair, democratic and credible elections if the agreement is fulfilled, and that they will put maximum efforts in achieving it. However, both the Macedonian and worldwide public have been hearing these promises for years. This time, what is new and different is that the position of the SPO is not questioned with this agreement. 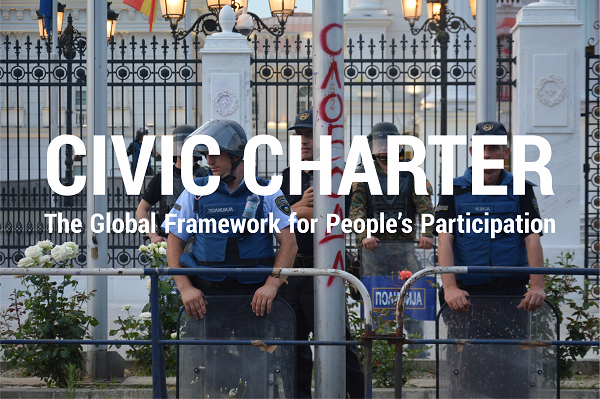 It seems that the international community is decisive in the efforts to restore the rule of law in Macedonia. 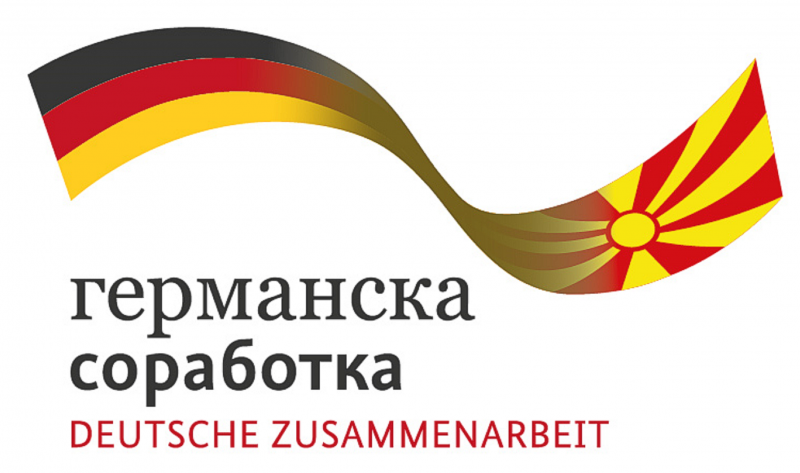 Ultimately, those are the expectation of the public, to have conditions created for realization of the judicial proceedings of the SPO, for which a practical example is the continuation of the one-month detention of Bitola Mayer Vladimir Taleski. The agreement has once again mobilized opposition parties in Parliament, where political life takes place in parallel. Amendments to the Electoral Code have been adopted. Members of Parliament debated at a plenary session on the proposed rebalanced budget, because the GDP of the projected 4 percent of growth, has declined to 2.3 percent. While for the opposition the rebalanced budget is like a “game of chance”, for DPA it is “anti-Albanian”, because of which 300 amendments have been anticipated. 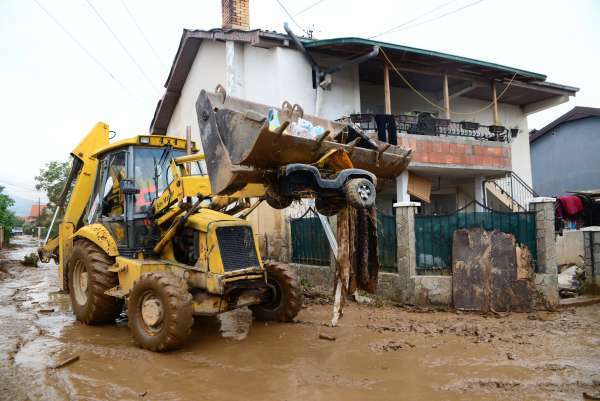 However, the rebalance will certainly not change anything for around 200 residents of Roma nationality in the improvised neighborhood across the City beach, alongside the Vardar River, whose homes built of cardboard boxes and nylons are to be demolished with a decision passed by the City of Skopje. These discriminated citizens, representatives of the socially endangered categories of citizens in Macedonia, do not hide that for every elections, political party representatives bring them sandwiches and drinks and then drive them with vehicles to the polling stations. While arguments continue between the government and the opposition in regards to the amount of the average social welfare (according to the MLSP – 4,927, and according to SDSM – 2,831 denars), Minister of Finance Kiril Minoski, was left without a comment to the reporter’s question: Whether Macedonia has enough money to pay salaries and pensions without the Eurobond, with which the Government indebted the citizens with additional 450 million euros: Minoski claims that the money is intended for the needs of the budget for this year and the next one, while the opposition and part of the public express open doubts that this money will be used for “buying votes”. In the meanwhile, the leader of VMRO-DPMNE and former Prime Minister Nikola Gruevski is travelling throughout Macedonia with enormous media support. He is visiting even the smallest settlements every day, where he promises that infrastructure problems will be resolved, which his Government used to promise, but did not succeed to solve in the last 10 years. 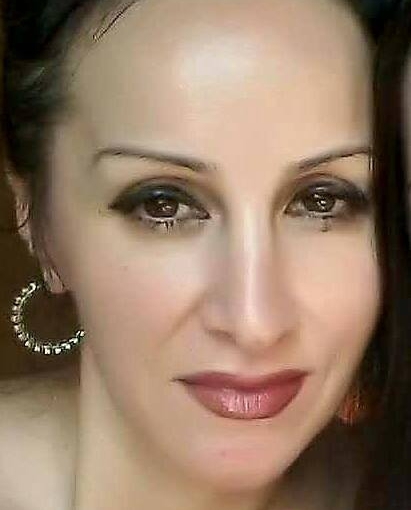 In this confusing setting, in which the prodemocracy public expects for Gruevski to leave the political scene, at least until the cases of SPO are resolved in court, and in accordance to the Agreement in the Parliamentary Club for an end to the “media fata morgana” on the unseen “Macedonian paradise”, dilemmas and doubts rise in that the reforms in the media sphere will not achieve the required effect. However, the leader of the opposition Zoran Zaev is decisive that only minimal media regulation will be achieved with the new legal regulation. In absence of objective information, of timely, balanced and truthful news in the process of accurately informing the public, CIVIL Media is making enormous efforts to give a new perspective, an objective prism to the catastrophic Macedonian reality. 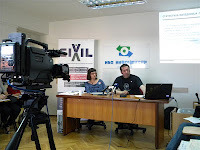 In order to prevent further manipulation of citizens and their (mis)use as a voting machinery during elections, through the Freedom Caravan project that will be implanted over the course of the next 3 months, with an intensive and busy schedule that will be carried out every day in around 30 municipalities in Macedonia, CIVIL will sensitize the public. With the support of USAID, citizens, at their own will and without pressure, consciously and responsibly, will be motivated to vote at elections, to decide by themselves for their own future, for the option they believe in and not to allow themselves to be an instrument in the hands of the parties anymore, but rather to become aware and conscious of their human rights and freedoms. 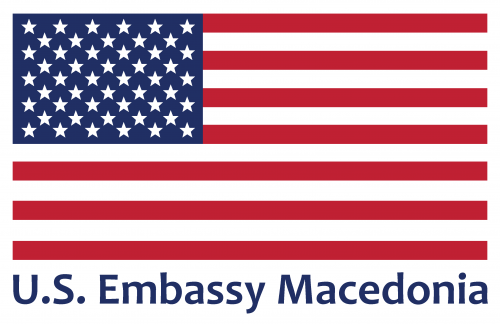 Existing media darkness and objective view of the Macedonian reality, give contents that the citizen journalists from all over Macedonia are constantly addressing to CIVIL, revealing anomalies of the system, violations of citizen freedoms and abuse of power. And according to the public, the role of citizen journalists will be crucial right until objective, and balanced journalism is not restored on the Macedonian media scene.